Dear Red Airplane. Number 1 in the second volume of our Summer Kitchen Series, this limited-edition chapbook quickly sold out. Robin Reagler is a poet, and her work has appeared in dozens of journals and books. 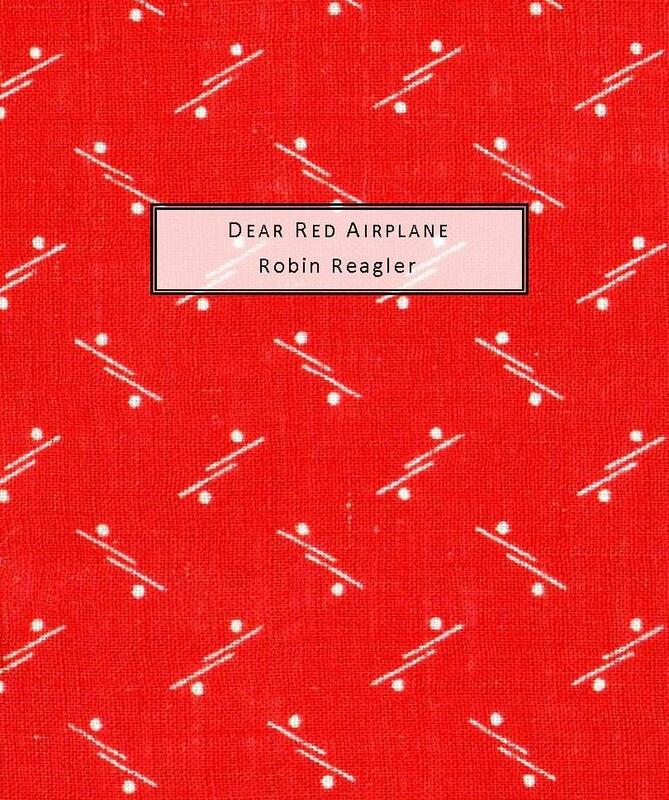 Dear Red Airplane is her first chapbook publication. She’s the Executive Director of Writers in the Schools (WITS) and also leads the international WITS Alliance. She earned an MFA from the Iowa Writers’ Workshop and a PhD from the University of Houston Creative Writing Program. She lives in Houston, Texas, with her partner, Marcia, and their daughters, Carrie and Pearl. They travel daily, and although most of their journeys are beautiful they are also imaginary. in front of my parents’ store, and eyed the windows to the left and right. to the ancient barber shop called Glenn’s. plastic combs in pale blue water. among chunks of the unnameable. to me. I felt that old fairy-tale fear. into the picture book of love.